The second reading in Parliament of the amendments to the Animal Welfare Act happens tomorrow, 20th November, 2013. We need to make a big effort to send letters to the ministers who will be in the session. See below for all details! EDIT NOVEMBER 22ND: Activists are asking us to be careful with emails. “We need a new approach. We need a new strategy,” they say. It’s possible that angering the Ministers will backfire. I TRUST THIS ADVICE AS I KNOW THE MENTALITY OF THESE PEOPLE. SO FOR NOW PLEASE DO NOT SEND EMAILS OR FAXES TO BIH MINISTERS. PLEASE CONTINUE TO EMAIL EU MEPs, Embassies in Sarajevo and the EU Eurogroup/Intergroup, international welfare organisations! DETAILS ON THE ACTION TO TAKE PAGE. I have been given a new suggestion from one of the activists for letters to try and persuade the authorities to actually implement the Animal Welfare Act and not make changes to it. It’s a good suggestion. Can you spare a few minutes and send a letter as described below to the email addresses listed? “The group who wants to change the law says they do it because tourists are afraid to come to Bosnia-Herzegovina because of stray dogs and because of this our economy suffers. So, what about starting the opposite petition/letters by saying that tourists don’t want to come to BiH because they hate to come to a country which has bloody streets and bloody hands, which isn’t humane and doesn’t have humane people who have not learned anything from the previous wars. 4. Another letter from us who live in the country – we don’t want to live here in such a country but we cant leave from it because we don’t have anywhere to go. The letter should be personal and consist of a lot of feelings about this huge problem, it should be sensitive and emotional. Please write your own letter. But here are two drafts you can use and personalise, if you fit into the ‘potential tourist’ category – NOTE THAT THE FIRST LETTER STATES ‘concerned American citizen’ PLEASE ALTER THIS TO FIT YOUR NATIONALITY BEFORE SENDING. I am writing to you in hopes that you take what I have to say into consideration when voting regarding Bosnia-Herzegovina’s Animal Welfare Act amendments. 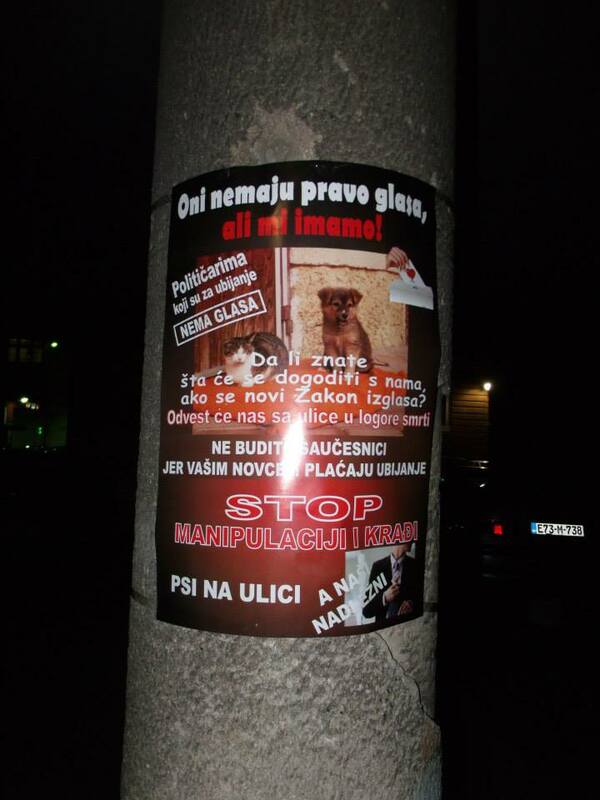 Currently, not everyone is aware of the overwhelming situation in BiH concerning stray/street dogs and cats. However, this information is spreading – as I am proof. I have been traumatized by what I have read and learned. If someone told me of the brutal killings, these massacres, I would not have believed it until researching it myself. First I learned about Romania – of which no words can express my disdain. How could civilized people do such horrific acts? Where does it end? I have found myself as much involved as the people living amongst this devastating situation. How can any country that treats it’s defenseless inhabitants like vermin expect that anyone would want to run the risk of spending time there? What could that possibly be like…seeing puppies watch their mother beaten to death, so innocently knowing this is what to become of them, passing numerous dogs on the street dead due to lethal injections of bleach or food poisoning – these are horrible sights that I would not want to expose myself or to those I love. From what I’ve read, the citizen’s of Bosnia Herzegovina are struggling from the results of this kind of behavior – poor economy, mental anguish, fear for their future, to name a few. With that said, Bosnia Herzegovina is not on my list of desirable places to visit. I could not financially support a county that disrespects life. Please, for the sake of all life, do not make amendments to the current laws, but strengthen them and enforce them – for that is the only solution that will reduce and eventually end your over population. You have hundreds of caring civilians willing to help you, I urge you to take advantage of that, work in unity – for the strength of a nation is determined by it’s people. Closing your eyes to these challenges will not solve the problem. As a concerned American citizen for all living beings, even as far away as America, the pleas of the Bosnia Herzegovinian people are deafening. 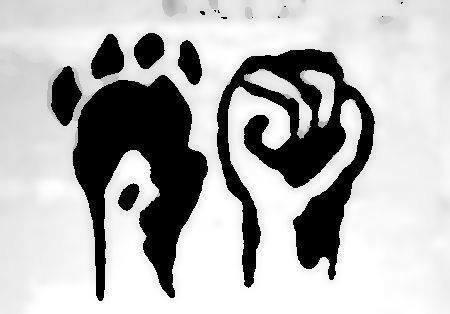 They cry for justice for the helpless and the needy…be they human or animal – and I join them in their plight. This is not only a European problem, we too, have an overpopulation of stray animals. We’re not perfect but our shelter workers care deeply for our homeless pets, treat them with respect, and work hard to find them loving homes. You may see me as only one person with these concerns, but I am not alone in my feelings. Please take heed in my words, for I speak for thousands of those that are aware and soon thousands more that will soon be. I have always wanted to visit Bosnia-Herzegovina and have great compassion for your people’s suffering in the past wars. But unless the proposed amendments to the Animal Welfare Act are voted against, I will never, ever visit. I have been utterly shocked at the callous treatment of stray animals in your country and will campaign to ensure the world knows that your people, your government has not learned any compassion after the horrific wars you have suffered. 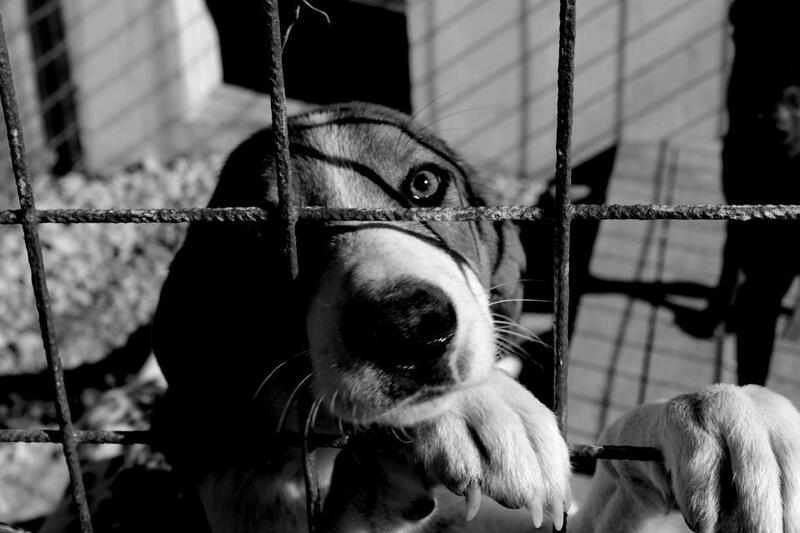 Please know that I am in touch with a number of people in BiH who have documented the conditions in your so-called ‘dog shelters’, and that if these amendments are to go through, the situation will only get worse. The BiH Animal Welfare Act is one of the best in the world, and you can be a guiding light for all countries by upholding and implementing it rather than chipping away at it and continuing to encourage the kind of atrocities that happen on a daily basis in the streets and fields of BiH. We will mount a worldwide boycott of tourism in your country should these amendments be voted in. Please know that the power of social networking is enormous and we will make every effort to tell the world of what is really happening. The ONLY long-term way to curb stray animal populations is through trap-neuter-return. Euthanisation in the shelters will do nothing, other than allow for continued illegal activities: inhumane killing, profiteering from public funds, selling of stolen dogs. Please take heed of my words, for I speak for thousands of those that are aware and soon thousands more that will soon be. In the next post I will list some Tourist Agencies to send the letter to. As stated in other posts, the activists need our support with donations to help them in the next days to campaign. Even if the law goes through, there is much they can do: all shelters need to be closely monitored to try to ensure that any ‘euthanisation’ as required by these proposed amendments is humane and that all other aspects of the Animal Welfare Law are implemented. Any amount will help, no matter how small. 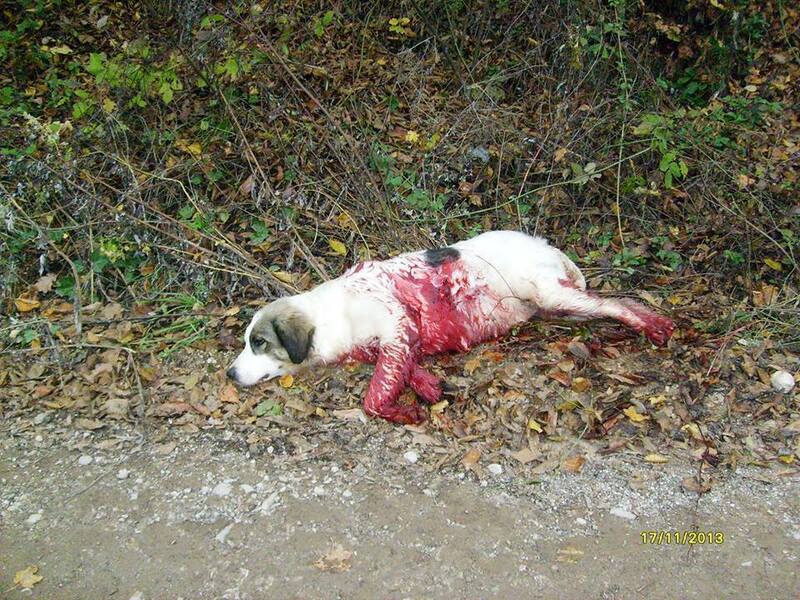 There is a YouCaring fundraiser especially for this: https://www.youcaring.com/kill-law Activists in BiH are doing their best to educate and collect signatures – they need our support! This entry was posted in Advocacy, Fundraising by Sandra Jensen. Bookmark the permalink. I can’t believe they will go through with this. No hearts. No souls. Stop this crualti to animals idmitiabley!!! i am just beside myself, i can’t imagine the horrors, i feel helpless, i can’t understand how or why humans can be so evil. 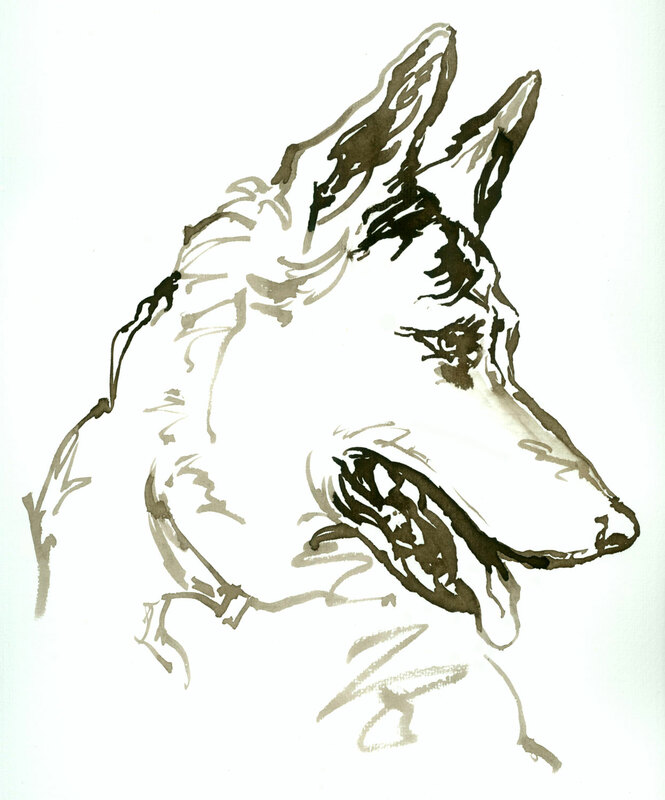 To all the furry four-legged souls, RIP, you are loved from afar. I signed all the petions and sent letters to the ministers.